Happy Holidays and Best Wishes for the New Year 2014! From Thomas and his family in the DC area (baby Lily 3+ months) and the Trinity Bell Tower gang in Miami!! Great turn out this month for service ringing! It’s very inspiring to have all bells with ringers and we have high hopes for more progressive practices in the New Year 2014. On the eve of Christmas 2013 we will ring at 10pm. The best to one and all, and to all a healthy and happy holiday season. if you’d like to pass it on. I’ve been on your website and read the news about our visit. I’ve also subscribed to ‘news’ emails so look forward to hearing about your events etc. Whilst we were in the tower we saw a picture of the bells hung in the frame and wonder if it would be possible to send anything via email so I could show our ringers? Apparently it is quite rare that bells are hung in a circular frame. 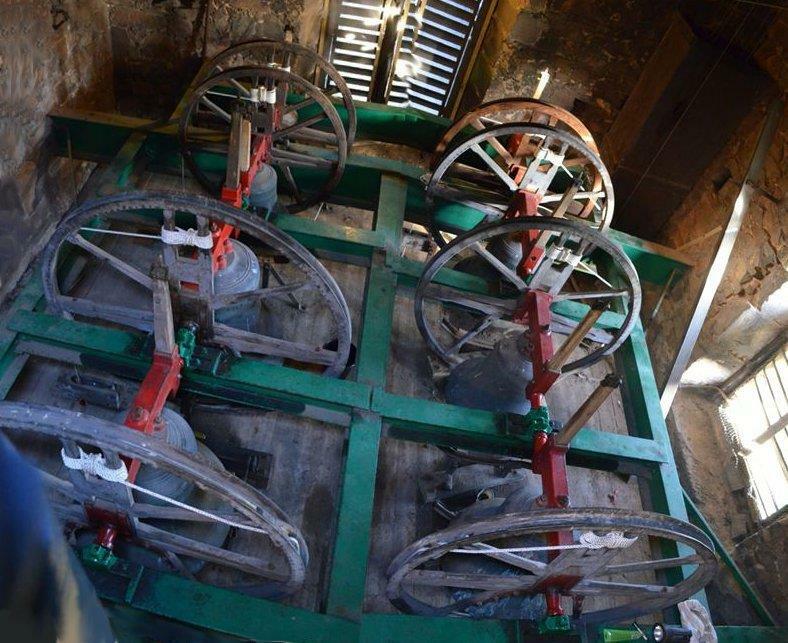 I’ve attached a ‘patched together’ picture of our bells for your interest. The bottom left is No. 7, continuing clockwise around is the tenor, treble, 2, 3, 4, 5 & 6. You will see that originally the frame had 6 bells and 2 were later additions.